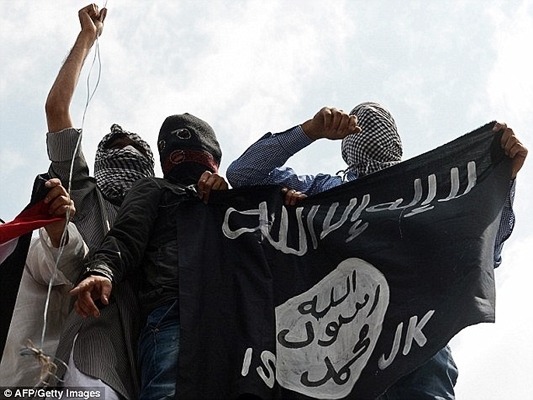 ISIS Sets New Football Rules: If You’re Injured, You May Reciprocate! Home World Crisis ISIS Sets New Football Rules: If You’re Injured, You May Reciprocate! The ISIS terrorist group has reportedly banned football referees in one of its Syrian strongholds and set new football rules as the previous ones were not in line with Islam’s Sharia. According to the UK-based Syrian Observatory for Human Rights (SOHR), organizers of local games have been told by ISIS commanders that referees would be banned because their decisions “do not judge according to what Allah has revealed” and are “a violation of Allah’s command and the Sunnah,” according to a report by Independent, as covered by YJC. A system of “Qisas” [reciprocation] for injured footballers has also been introduced in accordance with the retributive justice system enacted under Sharia law, where victims can exact revenge or claim compensation. Courts established by ISIS to rule on issues of Islamic jurisprudence according to the group’s extremist ideology made the decision to ban match officials. The move came before the start of the football season in the territory around the Syrian city of Deir ez-Zor. “We’re lucky because the football we play does not run using FIFA’s name – then the organization [ISIS] would have stopped games once and for all and not just refereeing,” a player told the SOHR. ISIS has a history of using football to promote its beliefs. In 2015 it passed a law banning people from watching a game between La Liga giants Real Madrid and Barcelona, while in May 2016 a seven-year-old boy was reportedly shot by a firing squad after he was heard swearing while playing a game of football with his friends. ISIS has also banned smoking, satellite dishes, dancing, watching foreign television and private internet access, with anyone breaking its laws facing the prospect of being punished by flogging, shooting, beheading or burning. The group has suffered a series of notable defeats across Syria and Iraq in recent months and was handed a major blow this week with the killing of propaganda head Abu Muhammad al-Adnani.